There's no such thing as having too many pockets. Particularly in the Summer when you have to give up the copious amount of storage available in your Winter coat. 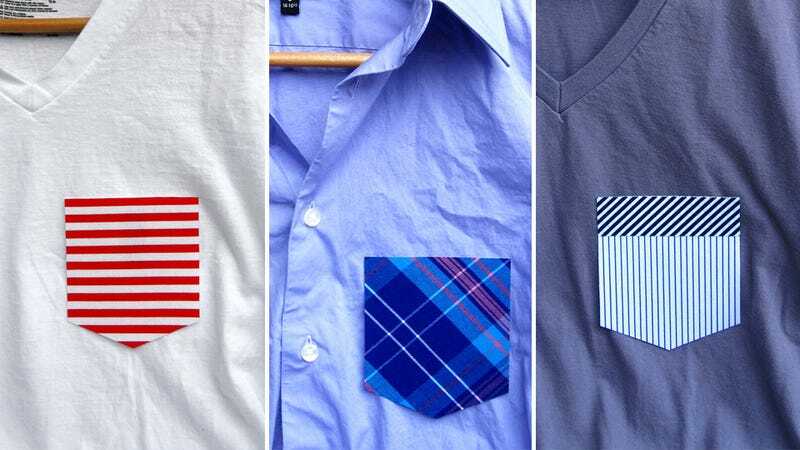 So these simple peel and stick shirt pockets are downright genius. Etsy seller Ryan Vanderbilt has them in his shop in a variety of colors, fabrics, and patterns for just $15 each. And like a bandaid, you just peel off the backing and attach to them any garment you'd like. They're targeted at shirts, but there's nothing stopping you from running a series of these up both pant legs and finally being able to ditch that murse.